I'm a former Turkish diplomat and now a Turkish-English-Turkish professional translator, proofreader and researcher. I have extensive experience in various fields. Send your text, CV or cover letter and I will proofread up to 1000 words and ensure that your written English will be flawless, smooth and perfect. I will also provide you feedback and suggestions for a better text. Contact me with your text, CV or cover letter and when you need the proofreading. You will receive it on time and with high quality. Hi! I have been working as a Turkish-English-Russian translator and researcher for 9 years. As a graduate of Boğaziçi University Management (English) department, I have good...Read moreHi! 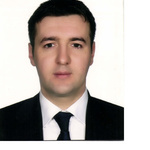 I have been working as a Turkish-English-Russian translator and researcher for 9 years. As a graduate of Boğaziçi University Management (English) department, I have good knowledge of marketing, organization, research, finance, and economics. Linguistics is my special area of interest. I am a native Turkish speaker, fluent in English and good in Russian. I can translate, make subtitling and transcribe English <> Turkish and Russian-Turkish comfortably. For precise, tailored, high-quality translations, as well as fast and efficient service at a competitive cost please get in touch with me. Looking forward to hearing from and working with you.